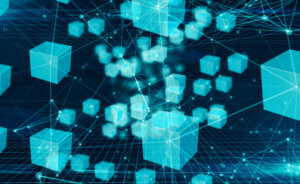 Professional services company PwC has published a new report on worldwide blockchain adoption, which finds that 84 percent of organisations are experimenting with the technology – as reported separately by Internet of Business. But how should business and technology leaders manage new blockchain programmes to ensure the best chance of success? Decision-makers should look at creating blockchains as platforms for industry-wide collaboration. However, building a blockchain becomes more complex when third parties participate, warns the report. “Companies are exploring how they might use internal digital tokens to represent cash or other assets, with the aim of streamlining their movement between business units,” it says. “Instead of time-consuming (and costly) bank transfers, currency conversions, and multiple emails about each transaction, a tokenised transfer can be conducted in near real time via smart contracts and allow users to track each transaction’s progress. “A company creating a blockchain for itself will undoubtedly confront challenges related to internal buy-in, data harmonisation, and scale. Still, this company can set and enforce the rules of the blockchain, just as it does with its ERP today. But generally speaking, you don’t realise the greatest return on investment in blockchain if you’re building it just for yourself. For organisations looking to take their first steps into exploring blockchain, the PwC report identifies four key areas to focus on when developing either internal or industry-wide platforms. “Creating and implementing a blockchain is not your traditional IT build. There’s no point in re-creating the old world, but with a blockchain at its core,” says the report. To stand the greatest chance of success, commit to new ways of working, advises PwC. Decision-makers should also frame both the problem and solution in order to support the project with a clear strategy. They should ask questions such as: What is the issue you are addressing? How will blockchain help? And, how might this same issue be affecting others in your industry? Once these questions have been answered, start small then scale out, staying focused on the long-term value, says PwC. However, bringing together a group of stakeholders to agree, collectively, on a set of standards that will define the business model is perhaps the biggest challenge in blockchain, says PwC. Next, broaden your network, work across the value chain, and conduct a competitive analysis: Are competitors or new entrants already planning on using blockchain? Is there a potential for partnership? And will you have to participate in their blockchain in order to continue doing business? Next, participants in a blockchain ecosystem need to decide what the operating standards will be and what various users will be able to see and do, explains the report. “The design begins with the strategic business model, which includes making decisions about whether the blockchain will be permissionless, and thus available to everyone, or be permissioned [granting different levels of access]. “Permissions determine participants’ roles and how they will engage with the blockchain, which can vary from entering information or transactions to only viewing information processed on the blockchain,” continues the report. “The choice of model isn’t automatic; organisations will decide based on design and use case considerations. They will also need to consider the type of network to establish. Confront risks early, consider the privacy implications, and invest in data and processes, says PwC. A well-designed blockchain validates data and eliminates the need for a central authority, such as a bank, clearing house or government, to approve and process transactions, says PwC. However, “cutting out that central authority may reduce costs and delays, but it also removes the institutions important in ensuring market stability, combating fraud, and more,” warns the report. There are indications that regulators will eventually step in when it comes to blockchain, but that shouldn’t be a brake on progress. This is why leaders need to shape the trusted tech discussion themselves, says PwC. “The risks of blockchain, and how to trust it, are part of a growing public discussion of responsible innovation and trust in technology. Engage with regulators and industry groups to help shape emerging policies and best practices. Use existing regulations as a guide, suggests the report. Current rules still apply, but perhaps in different ways. “By and large, we expect existing regulation to extend to new business models and applications. If you remain agile, you’ll be able to adapt and remain compliant,” says PwC. “Businesses tell us that they don’t want to be left behind by blockchain, even if at this early stage of its development, concerns on trust and regulation remain. Blockchain by its very definition should engender trust. But in reality, companies confront trust issues at nearly every turn. “Creating and implementing blockchain to maximise its potential is not an IT project. It’s a transformation of business models, roles, and processes. It needs a clear business case and an ecosystem to support it; with rules, standards and flexibility to deal with regulatory change built in. The post Blockchain strategy: How to manage new projects: PwC appeared first on Internet of Business.